Schwalbe Crazy Bob, 24" x 2.35"
The following review was created by Mikey from Blue Monkey Bicycles in Salt Lake City Utah. Normally, Court Rye does the reviews here (he’s the guy that owns and created EBR) but Mikey is a friend, he’s knowledgeable, and he had the bike on hand! 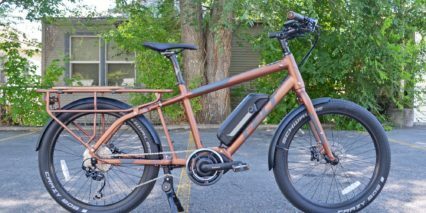 Mikey was paid $200 by ElectricBikeReview.com for his efforts filming, photographing and writing this review. What follows are his words, with some amendments by Court. 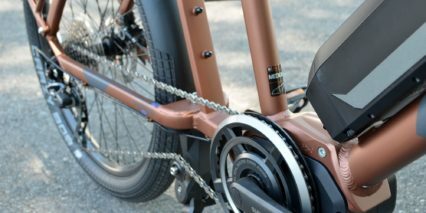 My own take, having tested and reviewed competing models and other electric bike products that use the Shimano STePs drive system is that this is a truly unique cargo style electric bike due it its relative light weight and low price. 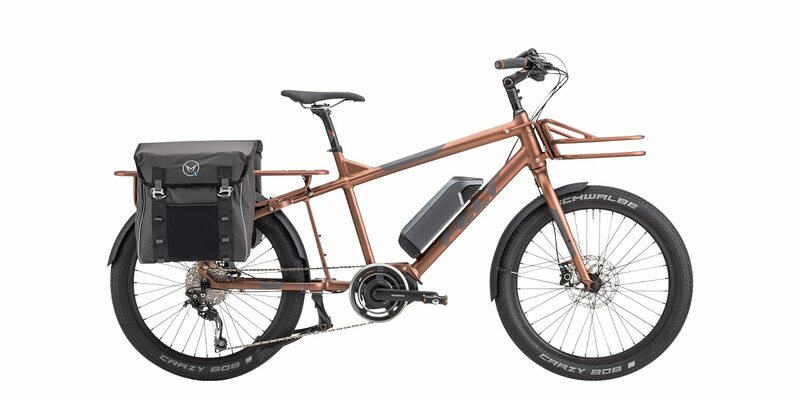 It’s one of the only electric cargo bikes that I know of which is sold in multiple frame sizes for improved rider fit. 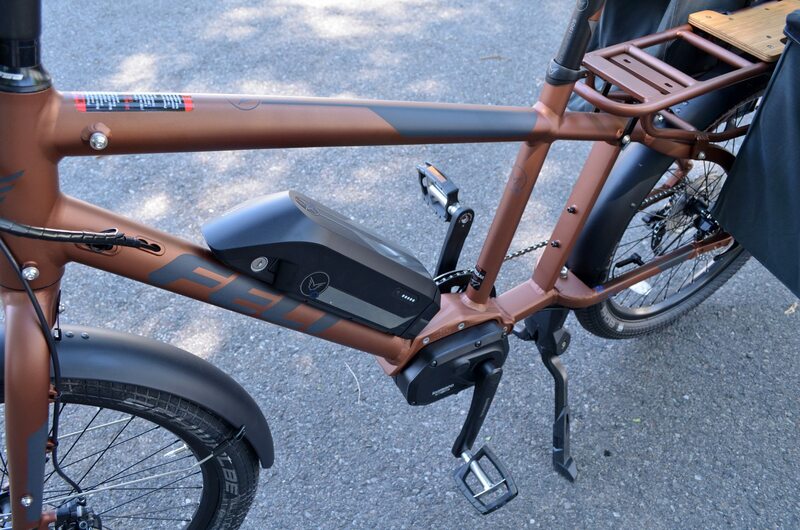 Felt is a recognized and trusted name in the bicycle and ebike space and they opted for name brand components here such as the 10-speed Shimano Deore drivetrain with Shadow Plus clutch. 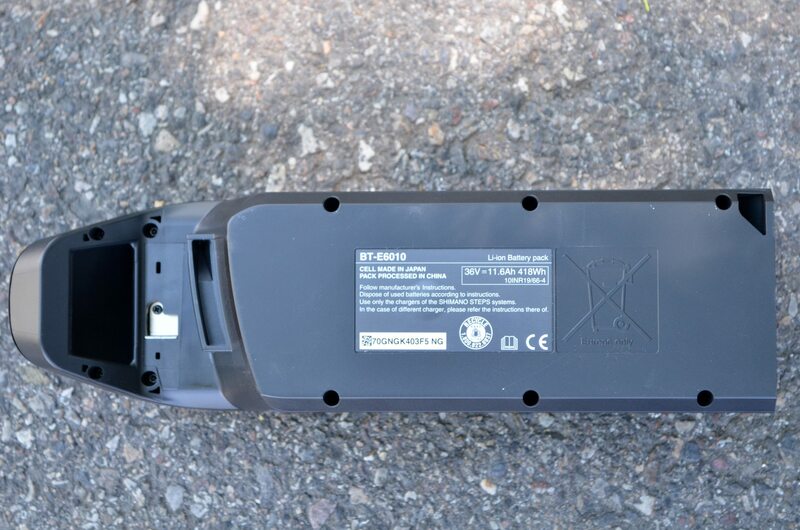 You get plenty of gear range for moving heavy loads, enough torque to climb effectively and a removable battery and display panel to lighten the bike for transport or keep the sensitive bits safe at the rack. 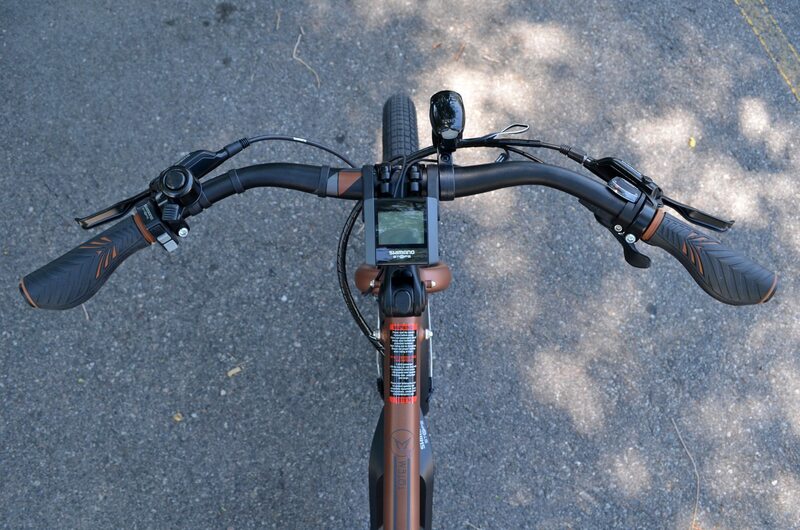 I love how intuitive and adjustable the Shimano STePs display panel is, even though they’re using the smaller non-transflective model here (maybe some of the newer models will have the upgraded taller display unit). 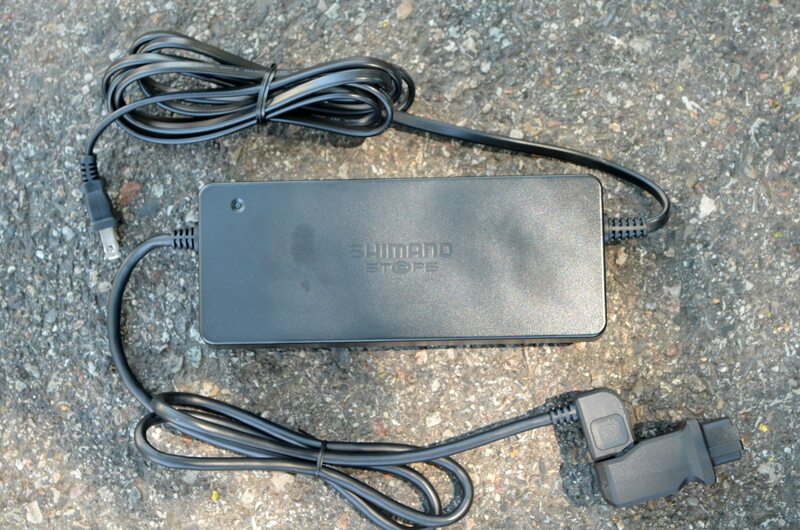 You can turn off the beeps, adjust the font from black to white, and control the lights with this interface. 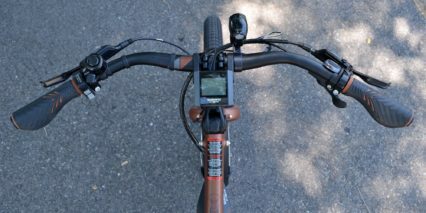 And I appreciate the sturdy double-leg kickstand for loading. 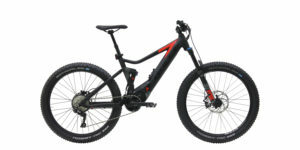 Both wheels have quick release for easy maintenance and even though there’s no suspension here, the ride looks comfortable thanks to large Schwalbe tires. 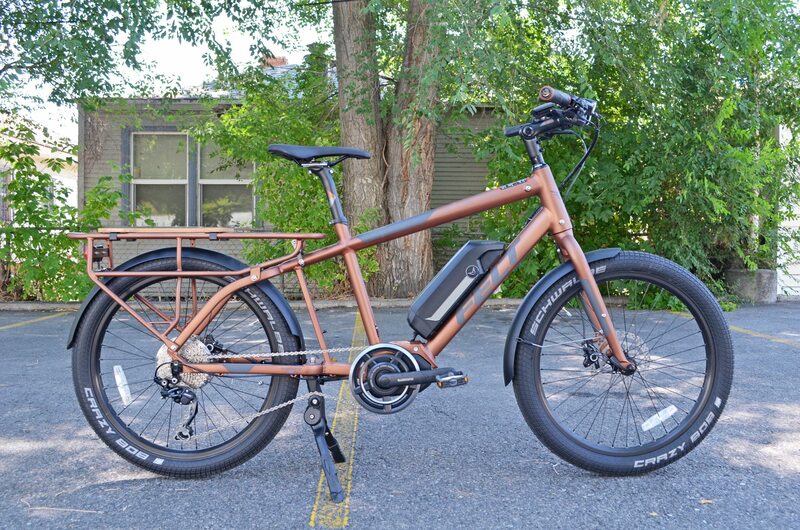 This e-bike compares well to the Yuba elBoda Boda in terms of size and application. 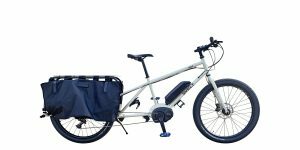 The Tote’M is one of two electric cargo bikes from Felt Electric. 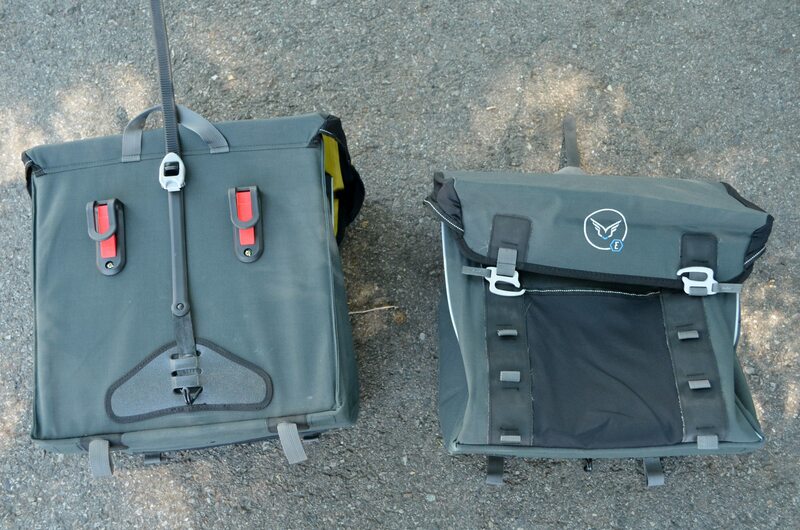 Both have a very similar design, though the Tote’M is scaled down in size, price, and especially length. 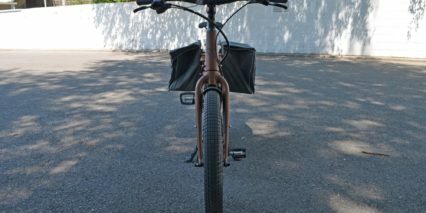 The Tote’M is very light weight, even for being a cargo bike it feels very nimble and easy to use at just under 59 lbs. The longer cargo rack design allows you to transport two full side bags and a child seat simultaneously. 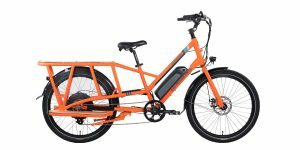 If you need even more hauling capacity, Felt does sell a matching front rack accessory but it was out of stock at the time of this review. 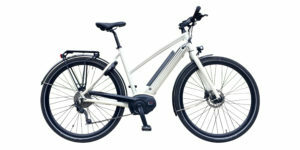 The large balloon style tires improve comfort and you get ergonomic grips as well as an adjustable angle stem but the frame and fork are rigid. Consider swapping the seat post with a suspension post if you want an even more cush ride. 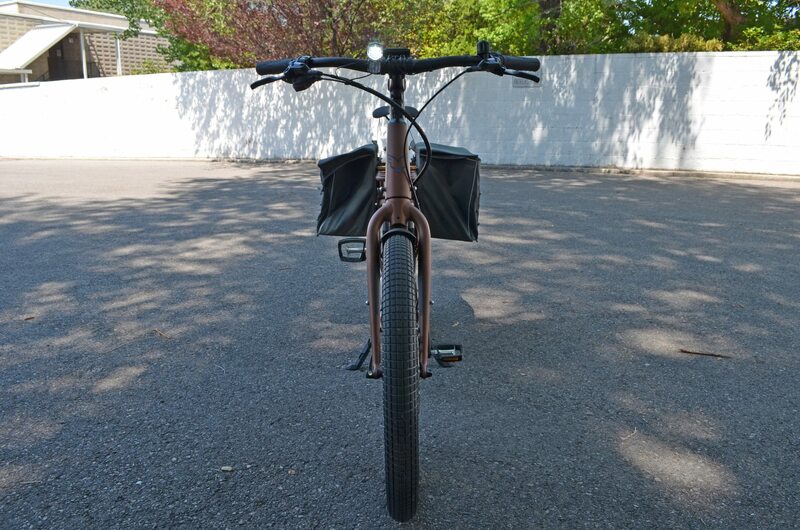 If by chance your Tote’M (or one in store you’re buying) doesn’t have a front cargo rack, contact your local dealer to supply that part, because apparently it does come included with the bike. 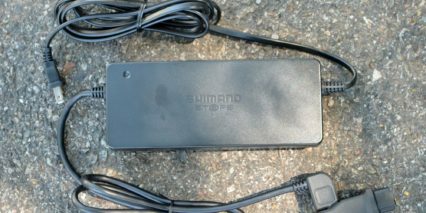 The Shimano mid-drive unit is a good choice for keeping the cost down and it competes very well with other mid-drives in the market. The top speed feels a bit limited even though it’s stated as 29 mph, you’ve really got to push it to reach 20. Given that this system is in use for a cargo bike (perhaps with children), I think that the slightly lower top cruising speed of 18.5 mph to 19 mph is just fine and it operates fairly quietly. 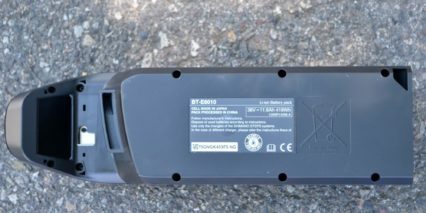 The 36v 11.6 Ah battery pack provides really good range. 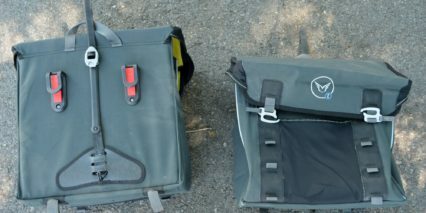 Blue Monkey Bicycles range tested both the Bosch system (as found on the BruHaul) and the Shimano system (as found on the Tote’M) and scored 48.5 miles and 47.4 miles of range respectively. 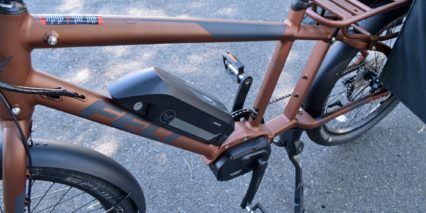 The refinement of the Shimano system (such as pedal sensing shifting technology) isn’t quite as nice as the Bosch system, and Bosch is constantly sending software updates to dealers, whereas Shimano has yet to provide that kind of support network across the country. 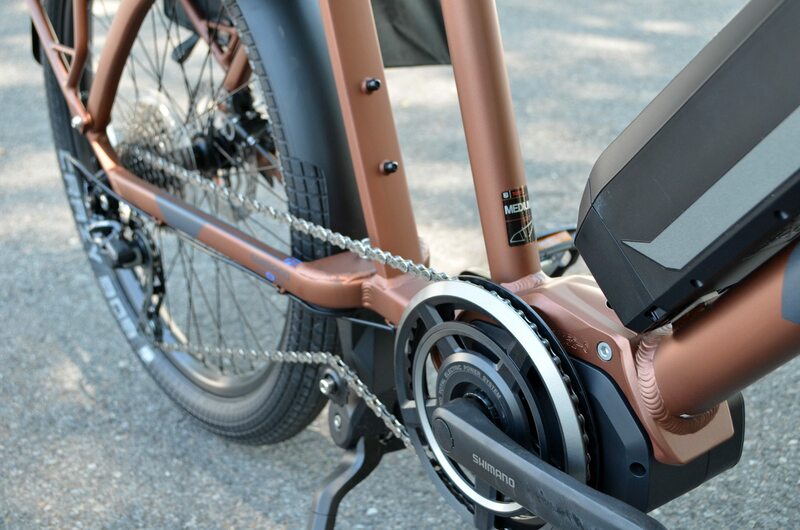 Nonetheless, the Shimano system is pretty peppy, and it’s a great fit for light duty cargo bikes like the Tote’M. 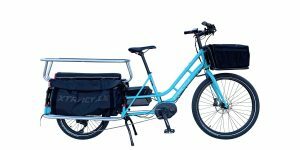 KevlarGaurd tires, fenders, lights, front and rear cargo rack and the pannier bags with rain covers to boot make a really nice complete package for someone wanting to get an electric cargo bike that is almost fully loaded. The Tote’M includes one bamboo plate for the rear cargo deck, rather than two plates on the BruHaul. Two bamboo plates simply wouldn’t fit on the smaller deck, so if you’d like to have a full wood deck, you’ll have to find a custom shop that can help out. The matte metallic finish Root Beer color is a very good look for the bike. For being an uncommon size of bicycle (not quite full cargo, not quite conventional size), the color scheme and paint really help the Tote’M to blend in as a good looking bicycle all-around. Front Porteur rack (on back-order as of July 2017) is great to carry quick access items such as backpacks, purse, etc.